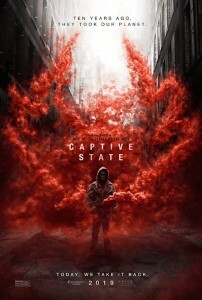 Captive State (PG13) is in theaters now. After the initial invasion scene sets up a couple of the characters, this dystopian sci fi mainly takes place 9 years after aliens have taken over earth. We meet a variety of characters, but the main ones are teen Gabe, whose brother was a legendary rebel, and the cop (played by John Goodman), who keeps an eye on him. Although the new alien government believes they squashed the rebellion, it is alive in the shadows, and we learn more about its members as the movie plays out. The movie starts pretty slowly, and gets more interesting as things come together. Unfortunately, the payoff doesn’t make up for the earlier lack of momentum. 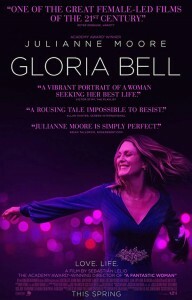 Gloria Bell (R) is in theaters now. This independent or art film, starring Julianne Moore as the title character, chronicles a short period in Gloria’s life. She’s a divorcee with grown kids, relatively comfortable with her life but still missing something. Her one true passion is dancing, which she fulfills by visiting night clubs. When she clicks with a recently divorced man, they start a relationship, but his baggage complicates things. This “woman of a certain age” film will resonate with a certain group, who may be reminded of themselves, their relationships, or their own journeys toward a more fulfilling life. Kim Possible (G) is now available on DVD. There’s nothing wrong with this Disney Channel Original Movie. It’s perfectly good entertainment, about a female teen and her sidekick, who battle her evil nemeses (the plural of nemesis) while in high school and accompanied by a naked mole rate. The problem is, we’re HUGE fans of the original animated series. Special effects and wire work just can’t take the place of animation, and the character/plot changes alter the original story. Kim may be a little more relatable here, when she’s upstaged by a friend and loses her confidence, but that works against our previously held beliefs that KP was pretty infallible, except when it came to things like dating and the occasional pimple. Then, she was much more superhero-like, living a double life as an A student/cheerleader, who saves the world in her spare time. While there was a small update needed to bring Kim into the present day, we feel they changed her too much. In Time (PG13) is available on DVD. In this futuristic story from 2011, life on earth resembles present day, with a big twist. People stop aging at 25, and time is the new currency. There’s a big disparity between the haves and have nots, divided into time zones where the wealthy could live forever and the poor could (and do) die any minute. While we had questions about the technology for transferring time between people, we thoroughly enjoyed this movie. Justin Timberlake’s Will receives a new lifetime from a stranger. While that opens new doors for him, he realizes he must try to fix the system. With the daughter of a wealthy man (played by Amanda Seyfried) along as collateral, he becomes a literal time bandit Robin Hood. This was a fun watch, especially considering we missed it the first time around. 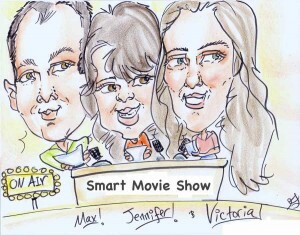 Plus box office results, movie news, what’s new on DVD and Blu-Ray and what’s new on Netflix.